home Technology & Innovation, Transport Are maglevs and hyperloops the future of intercity travel? 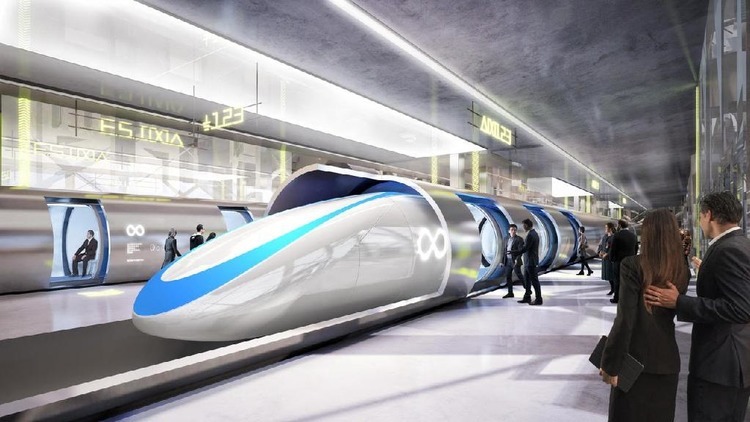 The “hyperloop effect” or the “maglev effect” seems to have taken a number of countries to the forefront of what could be dubbed as a renaissance of a cutting-edge technology in land transport. The idea of a floating train, surfing over an electromagnetic field, hovering over its tracks, zipping up and down may sound like a futuristic venture. But with the recent tidbits about tech mogul Elon Musk’s Boring Company receiving the green light from Washington DC for preliminary work on a small patch of land that could end up as a Hyperloop station, the news fueled greater interest on the idea of a high-speed floating train. The notion of a high-speed levitating train is not entirely new. The first commercial maglev system was first introduced in 1984 at the Birmingham international airport in the UK. Running at 40 km/h (25 mph) in the 600m (2,000ft) track, the MAGLEV (as it was then simply called) served passengers up until 1995 but was eventually closed because of maintenance and reliability issues. What are maglev and hyperloop? Maglev (magnetic levitation) is a system that taps powerful magnetic forces to levitate and move the train. It uses a two-magnet system: one that levitates the train off the track and another to move the floating train ahead at a great speed. Hyperloop is no different from a maglev. Although it sounds more techie and fashionable, a hyperloop system uses vacuum tubes and pneumatic air to propel pods or containers at high speeds (up to speeds of 600 mph) through a tube that has been pumped into a near-vacuum. Hyperloop is Elon Musk’s brand name for his Maglev train. Some claim that the hyperloop hovers in a near vacuum, greatly reducing air resistance. Currently, maglev train systems that are in actual operations are all found in East Asia: China, Japan and South Korea. Shanghai’s maglev is at the moment the world’s faster commercial maglev train built by Transrapid International, a joint venture between German firms Siemens AG and ThyssenKrupp AG. There are maglev systems under construction in Israel, Japan, South Korea and the United States of America. Slovakia, Abu Dhabi, the Czech Republic, France, Sweden and Indonesia also hopped aboard the idea of hyperloop trains. At the time of this writing, proposed maglev system developments are set to occur across the globe: Europe, Asia and North America. Apparently, the US, UK, Australia, Germany, Switzerland, China, India, Malaysia, Singapore, Iran, Taiwan and Hongkong recently joined the long list of countries with maglev systems concept underway. Considering the foregoing trend, maglev train systems may become ordinary sights in cities sooner than you think. The Boring Company has been issued a permit by the country’s capital to start the excavation for the would-be Hyperloop system to Baltimore, which eventually would stretch to Philadelphia and New York. US billionaire Elon Musk’s futuristic idea of getting the big US cities to be “in the loop,” a network of high-speed trains that would travel in vacuum tubes below the ground is of great anticipation. Once completed, it would cut journey times from Washington to New York from three hours via train to just 29 minutes. It is estimated that the construction costs, which would include an acquisition of an entire new right of way, would range between $10 billion and $12 billion for the 40-mile Washington-Baltimore stretch. Will this cause disruption the existing transport service provider in the country? Amtrak, the current passenger-rail network in the US, has links to more than 500 destinations. Its largest and busiest rail corridor, the Northeast Corridor, conveys more than 750,000 passengers and 2,200 trains daily. “It is complementary. It frees up the capacity of existing infrastructure and reduces the impact on existing infrastructure, allowing it to be less expensive to maintain and less expensive to use,” Goldsmith added. There are claims that the idea of maglev and hyperloop train system has both business and environmental cases in favour of it. A number of studies seem to support this claim. The US Department of Transportation (DOT) concurs with the idea that the system is more energy-efficient than most traditional modes, estimating that Hyperloop routes could be up to six times more energy efficient than air travel on short routes, and over three times faster than the world’s fastest high-speed rail system. 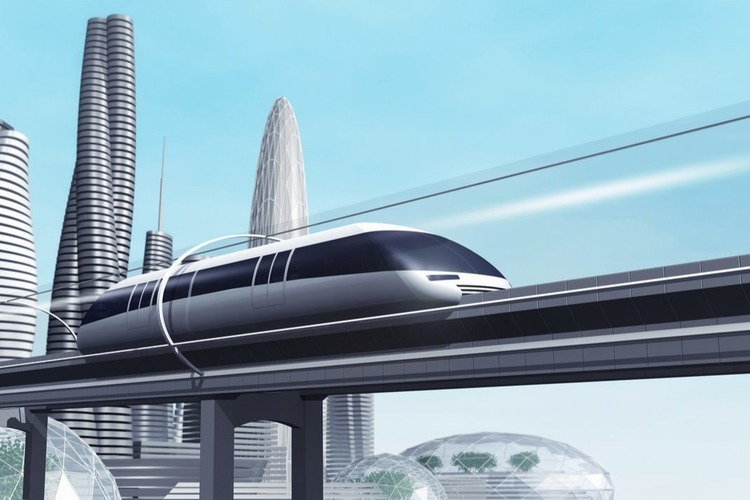 Researchers at the Helmut Schmidt University in Hamburg contend that hyperloops could more eco-friendly than road vehicles. Ready to hop aboard the floating pod? French novelist Jules Verne published “Paris in the 20th Century.” The novel imagined tube trains stretching across the Atlantic Ocean. With maglev and hyperloop projects being undertaken from all parts of the globe, this futuristic vision shall have been achieved sooner rather than later. Are we ready to travel in high-frequency motions? Will we be ready to surf the waves of the electromagnetic field?